In the first months of life, babies learn most by clutching. Dangling Figure Dragon Duri is therefore the best of playmates! He comprises an adorable head, five movable wooden discs and a large wooden ring to clutch. 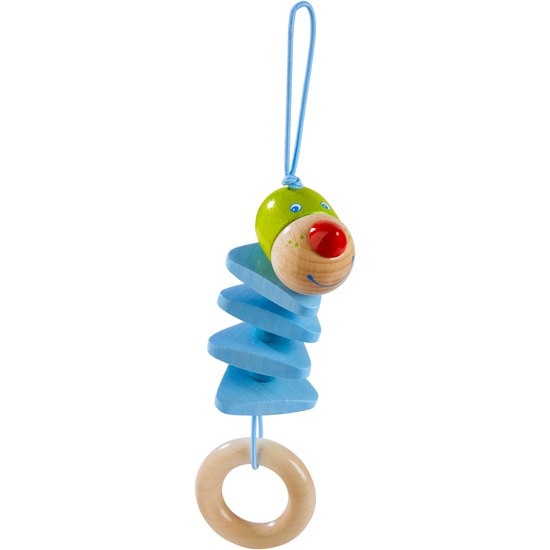 The practical loop allows the Dangling Figure to be attached to car seats, play gyms, baby beds or buggies.